Who Will Benefit From the Chicago Municipal ID? In early 2007, New Haven was the first city in the United States to issue municipal ID cards as part of an attempt to make its immigrant residents safer. Among many functions, the IDs allowed immigrants to open bank accounts and stop carrying cash, which was the target of many street robberies and home invasions. The IDs also encouraged immigrants who were crime victims to come forward, because immigrants knew they would be taken more seriously once they possessed official identification. San Francisco followed suit two years later, and then so did several other major cities—Washington, D.C. in 2014 and New York City in 2015 are among them. Chicago now joins this national trend. The City Clerk will soon roll out municipal IDs that will be uniquely three-in-one—the IDs will triple as Chicago Public Library cards and Ventra cards. Talks about the municipal ID program began in 2015, and $1 million of the city budget was set aside to develop the program in the fall of 2016, with the Office of the City Clerk in charge of solidifying the program. Kate LeFurgy, Chief External Relations Officer of the Office of the City Clerk, said that Chicago has not been late to issue IDs. Out of the top five largest cities by population, Chicago is the second city to issue municipal IDs, after New York. Moreover, she counted not being among the first to issue IDs as an “advantage”—instead, Chicago can learn from other cities that have already issued them. Chicago is “still on the cutting edge while still able to take best practices,” she said. Information security has been one of the biggest concerns for the municipal ID program, especially because the program serves undocumented immigrants who fear that their information will fall into the hands of the federal government. According to LeFurgy, the City Clerk considered the mistakes that New York City made regarding information security when designing the Chicago IDs. New York retained the addresses and social security numbers of its municipal ID holders. After Trump’s election, the city wanted to delete this information, but two state lawmakers sued to stop the city from doing so. In response, Chicago will not keep any records of personal information. According to LeFurgy, when a resident applies for a card, city officials will not ask for immigrant status and will personally validate the resident’s documents. (The Office of the City Clerk has yet to announce an official list of required documents, but the list will be modelled off other cities’ list, which use a point system to confirm proof of identity and residency.) The officials will then hand back all documents and print the ID on the spot, with the address printed on the ID. The city will not keep any record of the address, and will retain only the resident’s birth date and a unique identifier, all in compliance with the Illinois Records Law, LeFurgy said. Yet Chicago’s decision to integrate the IDs with Ventra cards also raises possible concerns about information security. Chicago will be the first city to allow all residents to use their IDs for public transportation. (The closest city to do so is Washington, D.C., which allows only students to use their IDs for public transportation.) However, including this additional feature means including another party—the private Cubic Transportation Systems that operates Ventra—that will possibly have access to data about the municipal IDs. According to LeFurgy, the inclusion of Ventra will not affect information security. The City Clerk will buy blank Ventra cards from Cubic, so Cubic will not know which Ventra cards also serve as municipal IDs. Additionally, LeFurgy said, the Ventra feature is optional. 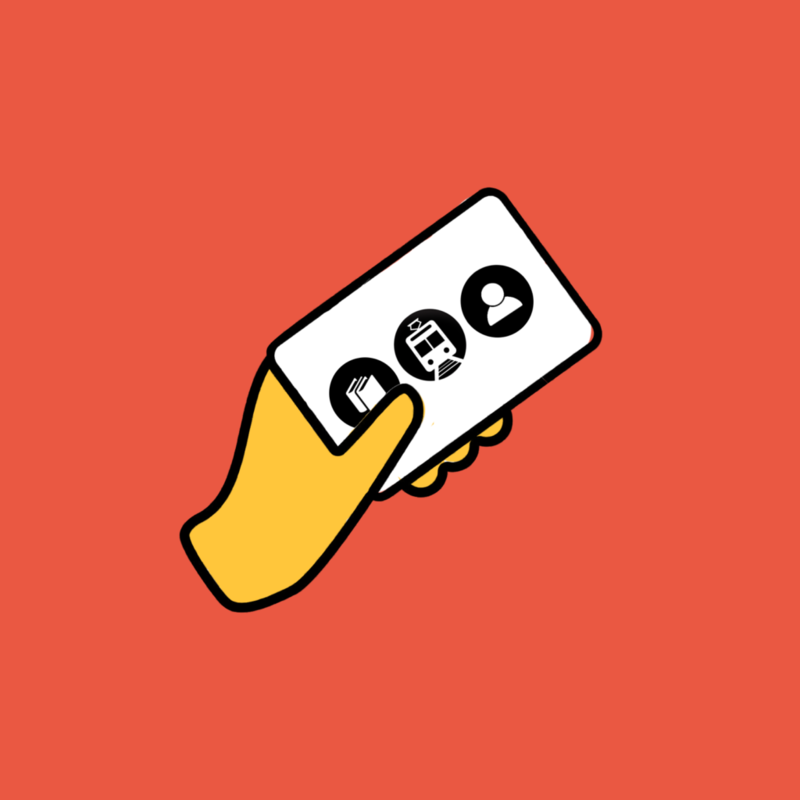 If residents choose to not use their IDs for public transportation, they do not have to register for Ventra accounts, and the Ventra feature will not be activated. Chicago has also considered vulnerable populations other than undocumented immigrants when designing its ID program. The two cities at the forefront of the municipal ID program, New Haven and San Francisco, initially designed their IDs with undocumented immigrants in mind, a feature the City Clerk took note of. Since the program’s inception, the office talked to numerous community organizations that represent different vulnerable populations. Access Living has brought up this specific difficulty in talks with the City Clerk, according to Garcia. Now, Access Living is helping to develop a mechanism that ensures that individuals cannot be stripped of their municipal ID when entering nursing homes. TJLP has worked with the City Clerk to ensure that residents will be able to change their gender marker on the municipal ID, and that the ID will offer the option of a third gender marker. These organizations have found working with the City Clerk on the municipal ID program to be a positive experience. Garcia said that the City Clerk “has been really responsive, really open” to Access Living’s input. The City Clerk “asked us for different [pharmaceutical and medical equipment] vendors to be on board with the card,” said Garcia, so the vendors can provide discounts to ID holders. By asking Access Living, which is locally based, about vendors, the City Clerk ensures that ID holders will benefit from the card at the local level. Discussions with the City Clerk have sparked ideas for the Access Living staff as well. “When she [the City Clerk] talked about attaching Ventra, our [Access Living’s] light came on about including Para transit and accessible cabs,” Garcia said. In addition to helping vulnerable populations acquire proper identification, the card aims to benefit all Chicago residents. According to LeFurgy, Chicago has looked at how Detroit partnered with small businesses and how New York partnered with cultural institutions to provide discounts to ID holders. Chicago is in the process of including both types of benefits. The community organizations that worked with the City Clerk agree. “The card is meant to meet the needs to these communities, but also to appeal more broadly,” Tsao from ICIRR said. “There is no use in dividing our own city,” he added. Until more detailed announcements about the program come, there’s little to do to evaluate the program as it currently stands other than to heed the experiences of the program’s collaborating organizations. The City Clerk will announce the official vendor of the IDs in the coming weeks, LeFurgy said, and also aims to pilot the ID program before the end of the year. With just a month to go until that hopeful deadline, whether a municipal ID program can and should securely serve all the city’s residents—especially its most vulnerable—remains to be seen. Having the card act as both a library and Ventra card is pretty smart. It really does make it a no-brainer for me just as a convenience to not carry both around.